According to an article in the Washington Post, in October 2018, Spain is known as the most welcoming country in Europe for migrants. If you are about to make this beautiful country your home you may want to start a business or work as a freelancer. In order to do this, there are certain legal requirements that you must fulfill. One of the major necessities is your autonomo social security. If you have no idea how to get started, here are some tips to help you. 1. What Exactly is Autonomo Social Security? Autonomo social security allows you to pay taxes in Spain when you work as a freelancer or are self-employed. Not every nationality can become autonomo in Spain without a work permit. You must be born in the European Union (EU) or European Economic Area (EEA) in order to become self-employed without a work permit. If you were born outside of the EU you will need to have a work permit. Before you can go autonomo you will need to get an NIE card. This is a card that will certify your residency. You can start the application process at the police station nearest to you or at the Foreign Office. You will need to fill out a form known as EX-15, this will ask you personal information about yourself. In addition, you will need to present a copy of your passport, bank account information and pay a service fee. You will need to register at a tax office. There are many tax offices in the country, you will usually find one near you. In order for the registration process to go smoothly, you will need to bring your passport and NIE card with you. The form you will be asked to fill out is known as a 036 or 037 form, depending on whether you wish to register as a sole trader or an independent professional. If everything goes well, you will be given a personal tax certificate. Once you have been registered for taxes it is time to register with the Seguridad Social Office. You must do this within thirty days of receiving your tax certificate. In some cases you may have to bring along address verification, this can usually be had from the city hall of the town in which you live. 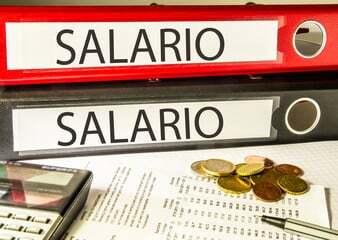 If you wish to freelance in Spain or do any form of self-employed activity the sooner you get your autonomo social security the better. You must pay your taxes regularly, this is the law. Once you have collected all the necessary documents you should try to get to the social security office as soon as possible, so that you can get tax compliant. If would like more information about living in Spain. Please visit our blog.